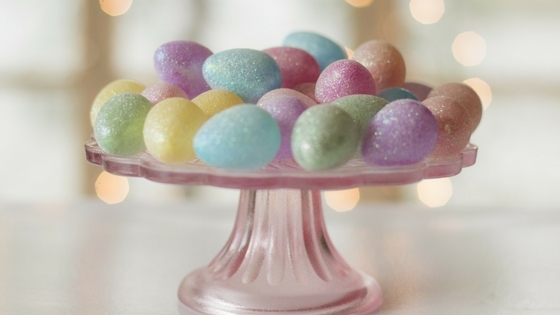 Home » Easter Eggs – How to Find The Tastiest Chocolate Treats This Easter! Want to track down the very best Easter eggs this year? You know, the ones that aren’t too pricey, aren’t packed with ‘E’ numbers, but taste and look amazing? 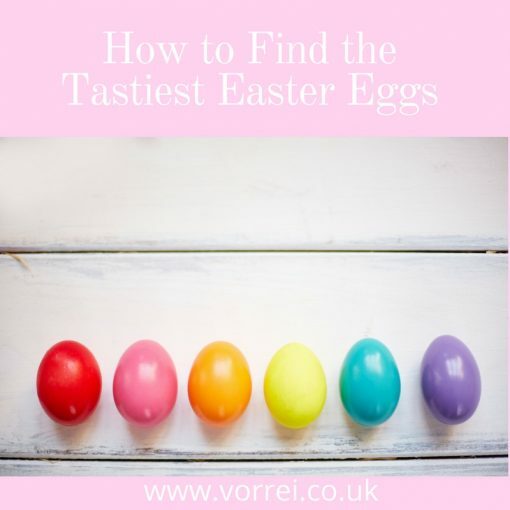 We’ve put together a list of what to look for if you want to find that elusive Easter treat, so read on and spoil yourself this year with a delicious Easter egg with ethical credentials! Chocolate Easter eggs with sugary coatings or those filled with fondant or caramel centres have far more additives and potentially unhealthy ingredients than plain old chocolate. Go for quality rather than quantity. Choose a smaller, simpler egg. It may be a little more expensive but you really do get what you pay for! The better the chocolate, the more you will take the time to relax and savour it, which means you’re more likely to stop eating when you feel full. In a good quality chocolate you’ll find a larger proportion of cocoa butter, in cheaper chocolate there isn’t much cocoa butter at all, if any. Forget white chocolate as it contains absolutely no cocoa! The addition of vegetable fats helps reduce potential problems with melting and cracking and make the egg stronger and they are of course much cheaper than cocoa. This is great for the manufacturers but not so good for you! Anti-palm oil groups blame the product for large scale deforestation in Malaysia and Indonesia and for killing wildlife, particularly the orangutan. Easter products have always contained loads of the stuff – most of it unsustainable but companies must now list palm oil as an ingredient and if it is responsible palm oil they will state this. Additives are used during the manufacture of commercial Easter eggs to make the shells nice and thin, to add colour to the sugar coatings and to create sweet and gooey centres. The additives most commonly found in cheaper Easter eggs are E442 and E476. It’s better to avoid both of these if you can. The first are ammonium phosphatides, emulsifiers that improve the handling of chocolate during processing and the second are polyglycerol esters of fatty acids that help to create those thinner shells. These substances are both highly processed, and offer no nutritional or health benefits. Dark chocolate contains a higher concentration of cocoa, so it’s better for you. It’s full of antioxidants and as it’s so much richer you are likely to eat less of it. Buying Easter eggs from a smaller supplier means that the chocolate has not been mass-produced in huge quantities, so it won’t be bulked out and the flavours will generally be better. Check out Vorrei’s hand made, luxurious eggs here. Our vegan-friendly dark chocolate egg was just this week voted the ‘clear winner’ in a taste test for the best vegan Easter eggs! We also offer many other sweet treats for those looking for extra gifts this year! Take a look at our Italian food online. Looking to bake a cake instead? Take a read of our recipe for an Italian Easter Cake!